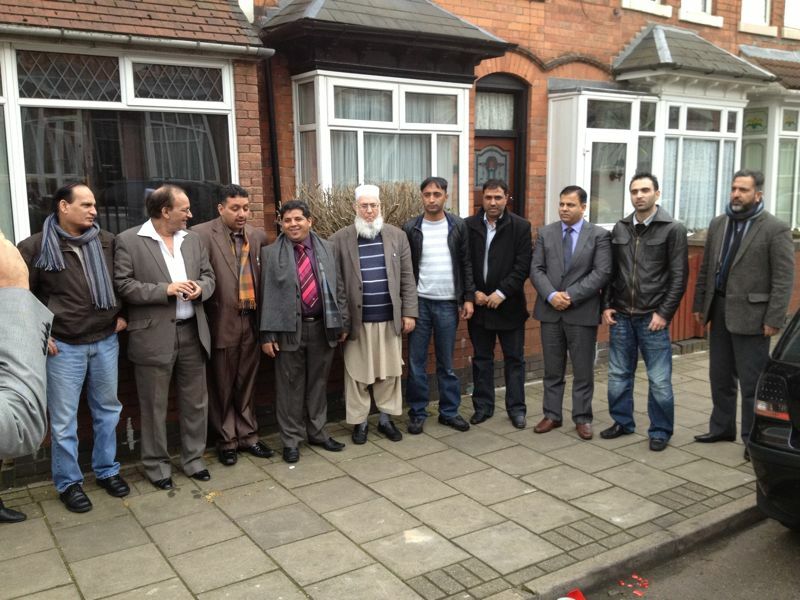 A meeting was held by Raja Noman Kamal of PML(N) in Birmingham (UK) on 20th February 2012. Raja Nomal Kamal is from Dadyal and is a young politician who organised this meeting to discuss the issues facing Overseas Kashmiris, and also the new branch of PML(N) Birmingham which is to be announced in the near future. The meeting was attended by (from right to left above): Chaudhary Mohammed Saeed, Raja Noman Kamal, Mohammed Younis (President PML(N) Nottingham), Parvaiz Bhatti, Raja Rifaqat, Khawaja Adrees (Member of Organising Committee PML(N) Midlands), Chaudhary Younus Chathrvi (Organiser Midlands PML(N)), Raja Amjid, Raja Maqsood and Raja Shahpal.